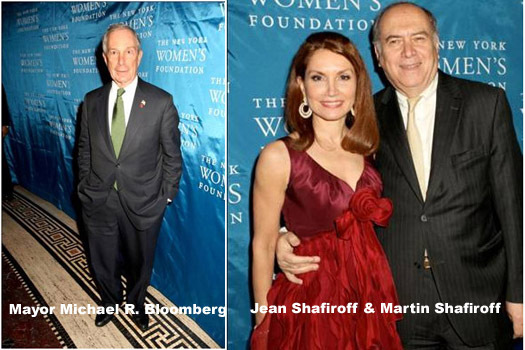 NEW YORK, Dec 2, 2010 / — Hosting its 23rd Annual Stepping Out and Stepping Up at New York City’s Gotham Hall, the New York Women’s Foundation®’s (NYWF) honored Museum of Modern Art President Emerita and MoMA International Council Chairman Agnes Gund as well as Grace Hightower De Niro and Robert De Niro. Good Morning America’s Juju Chang hosted the special evening, which began with an address by Mayor Michael R. Bloomberg to the nearly 300 guests in attendance, which included filmmaker Jane Rosenthal, Muffie Potter Aston, philanthropist Anne Bass, Mexico’s Deputy Consul General in New York Ismael Naveja Macias, as well as Gala Vice Chairs Jean Shafiroff, Susan R. Cullman, Carolyn Buck Luce and Gala Co-Chairs Hyatt Bass and Somers Farkas with husband Jonathan Farkas. City Commissioner of the Department of Cultural Affairs, Kate Levin presented The Stepping Up Award to Agnes Gund. Accepting her award, Agnes expressed her gratitude and emphasized her belief that “funding the arts is funding the well-being of children…to clarify who they are…to communicate who they are,” praising the hard work of her organization, Studio in a School, a non-profit organization she established in 1977 in response to budget cuts that virtually eliminated arts education from New York City public schools. 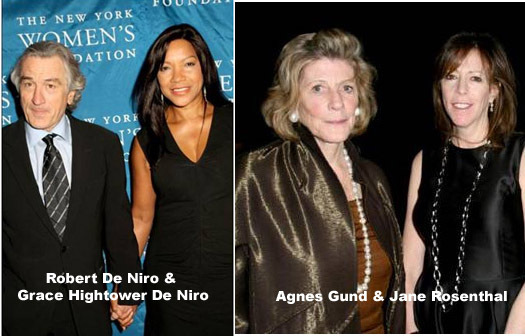 Following the video, Gala Vice Chair & NYWF Board Chair Diana L. Taylor presented the award to Grace Hightower De Niro and Robert De Niro. 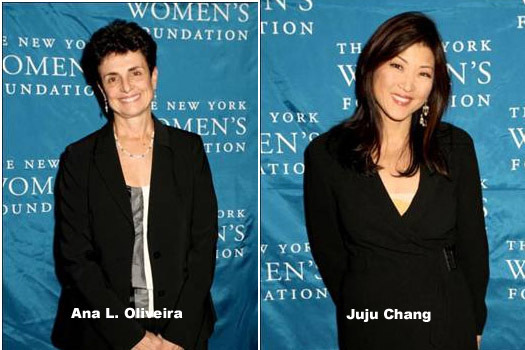 The New York Women’s Foundation® is a cross-cultural alliance of women, serving as a force for change for women. 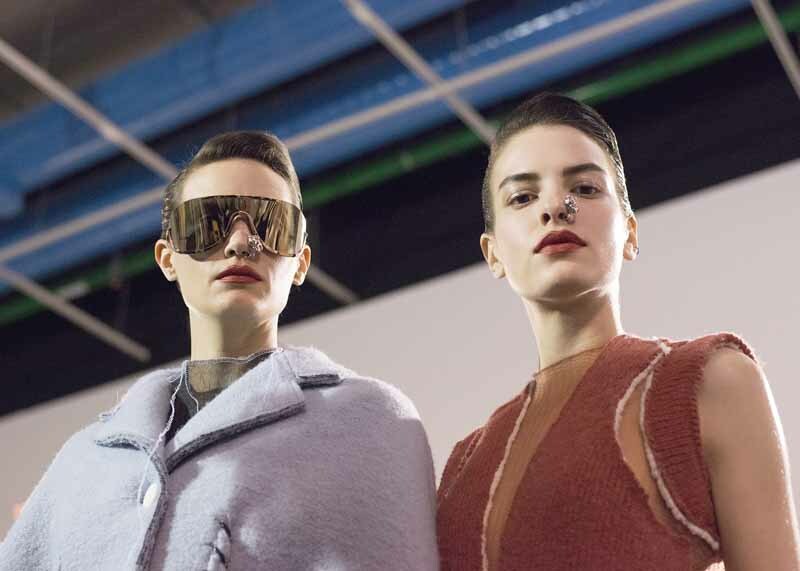 From the outset, the Foundation’s founders strove to identify innovative organizations that were affecting change in the communities they served for women. NYWF strategically funds organizations and programs that move women, girls and families towards long-term economic security through individual transformation and systematic change, mobilizing leaders and community partners as philanthropists and change agents. NYWF funds programs in that promote economic security and justice, health and sexual rights, positive development of girls and young women, and safety. The Stepping Up Award is presented each year to recognized New Yorkers who serve as role models and demonstrate courageous leadership, vision and commitment to women and girls as individuals and as partners. 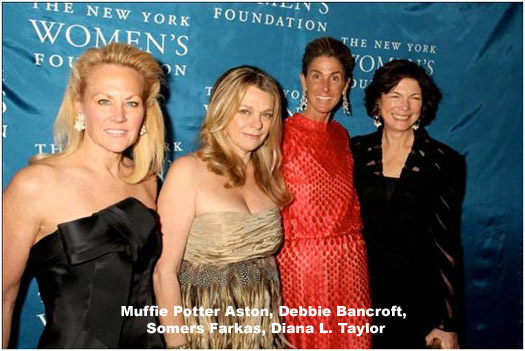 For further information about The New York Women’s Foundation®, please visit www.nywf.org.